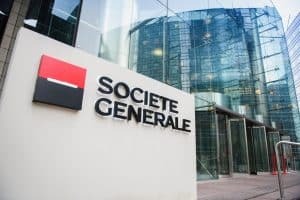 Eurex Clearing has brought on four new banks to its repo partnership programme, including Societe Generale and BBVA. Since the launch of the repo partnership programme in November, Eurex now has 28 participants including JP Morgan, Deutsche Bank and Morgan Stanley. The repo partnership programme is an extension of its OTC interest rate derivatives segment, which is effectively a performance-based scheme where Eurex awards its 10 most active participants with a profit share of the business. “Based on the February figures, the top 10 performers have already benefited from the first revenue sharing. From July on, the top five will then be included in the governance and committee structure of Eurex Repo and Eurex Clearing,” said Frank Gast, head of funding and financing sales, Eurex. The launch of the scheme was aimed to entice repo traders to move their European government bond repo business from the UK to Europe. It also allows users to benefit from accessing the pan-European settlement platform TARGET2 Securities (T2S). Users can also gain access to Eurex’s netting services for special, general collateral and GC pooling repo transactions, enabling traders to gain significant capital savings. “The aim of the program is to increase choice and efficiency for market participants in Special Repo and General Collateral instruments and to foster adoption and growth in the dealer-to-client repo business,” added Gast. Eurex has sought to target the buy-side to become clearing members of its repo service in order to boost volumes and liquidity on the platform. In January, Dutch pension fund PGGM signed up to use Eurex’s cleared repo markets, allowing it to trade with more than 140 Eurex participants including commercial banks, central banks, and government financing agencies. The German-based clearing house also aims to win repo business from LCH, the London Stock Exchange’s clearing arm, which is also taking steps to keep a foothold in mainland Europe once the UK leaves the EU. LCH recently shifted all of its euro-denominated repo and government bond trades to its Paris-based clearing unit. It is also launching its own buy-side sponsored repo clearing scheme this year.